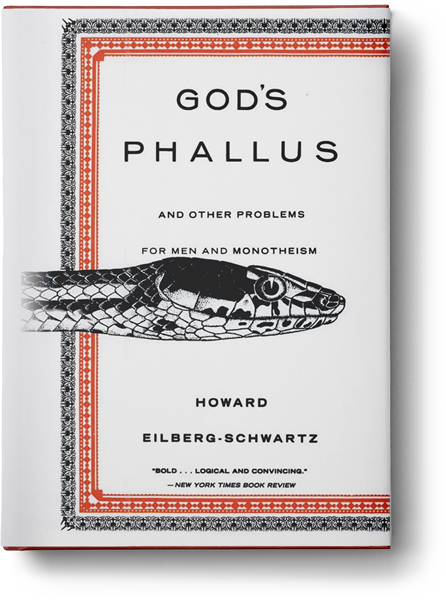 God’s Phallus and Other Problems for Men and Monotheism - Howard I. Schwartz Ph.D. In hindsight, I wish I had chosen a different, less confrontational, title for this book which is really a serious study of two different subjects: 1) the way in which a male image of God affects the construction of masculinity in a religious tradition and 2) an alternative understanding of why monotheism imagines God as a disembodied being. Both arguments pick up critical questions about religion and Judaism per se and continue the thinking of my The Savage in Judaism. Feminists had rightfully argued that a male image of God had significant implications for the view of women and femininity in religion. I was persuaded by that view but began to wonder how a male image of God impacted men and the image of masculinity in the religious tradition. In reflecting on this question, I realized that there were conflicts in the image of masculinity. On the one hand, men were made in the image of God. On the other hand, they were to imagine themselves as part of Israel, as the wife of God. Men were thus placed in a contradiction. Male-male sexuality was condemned, but men had to imagine themselves as “lovers to God.” This amounted to a significant contradiction in the imagery of masculinity. This contradiction I argued was inherent in particular in monotheism, where God has no female counterparts in the divine pantheon. Because God could have no wife, the question of what it meant to be a male God thus was problematic. This contradiction, I argue, explains the fact that God’s body was hidden in monotheism. God could be conceptualized as masculine but not as male. Since male sexuality implies a partner, and since the monotheistic God had none, this raises a mythical dilemma at the heart of monotheism.